Section 8 brings you Stork Stash Slot at Moon Games. It consists of 5 reels and 25 paylines. It is based on mischievous storks who have stolen bundles of cash and no one has caught them red-handed. Guess what! They are willing to give you a chance to be their ally and rob banks. If you perform well, you may get a share of their loot! Enjoy this fun-filled game on any type of device, only at Moon Games! 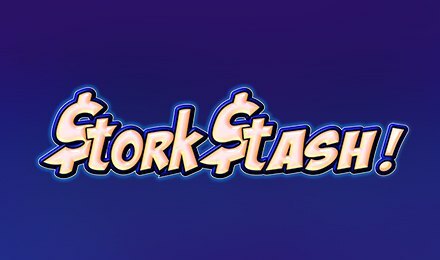 Start enjoying Stork Stash Slot using one of the predefined bet values. If you want to place the highest bet in one click, press the Max Bet button. When you are ready, hit the Spin button to get started. If you have to multitask during the game, use the Auto Play option to enjoy 10, 25, 50 and 75 rounds played without your intervention. Bet Levels: Bet levels are unavailable. Amount of Paylines Selection: The 25 paylines are active throughout the game and cannot be changed. Coin Values: Use the + and – buttons to pick one of the predefined bet values. The Bank icon on Stork Stash Slot is Wild and replaces all symbols apart from Scatter. It lands only on reels 2, 3 and 4. During the main game, it expands into a fully Wild reel when it contributes to a winning payline. Scatter is represented by the Vault symbol which helps to activate the Free Spins Feature. You can earn 12 free spins. During the feature, any win which includes the Wild symbol is multiplied by 7 times. When more Scatters appear during free spins, the feature is retriggered. Look out for the Double Up Feature on Stork Stash Slot! After any base game win, the Double Up button becomes active. Click on it to activate the feature. It allows you to double every payline win. On the Double Up screen, choose either Heads or Tails. If you guess correctly, your win is doubled. On the next coin toss, you can either choose to double your win again or click on “Collect” to return to the main game. Launch Stork Stash Slot anytime at Moon Games and spend a lovely time. Good luck!